Vegan Eats and Treats! : farmer's market bounty! After the farmer's market, I whipped up some Peanut Butter Banana French Toast, which I learned about from Chris & Darlene. I LOVE it, and it has become a real favorite of ours. Also, we had some deliciously amazing organic nectarines. 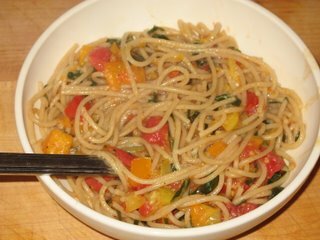 For dinner, I made whole wheat spaghetti with homemade tomato sauce. 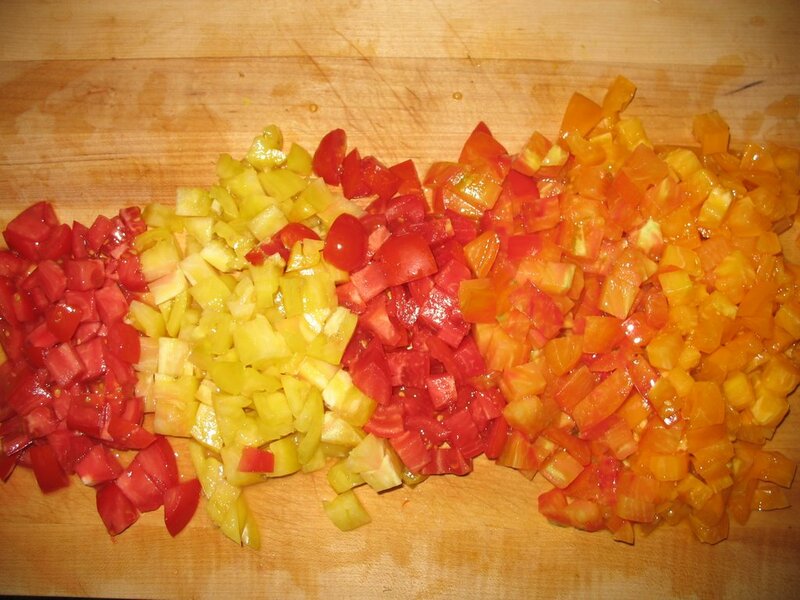 Check out the beautiful colors of the tomatoes that I chopped up... so beautiful. Look at the size of these basil leaves!!! My grandparents dug up this basil plant from their garden yesterday and gave it to me... I've still gotta get it in the ground... it's just an amazing specimen. Here's the sauce cookin' up. And here's the yummy finished product. 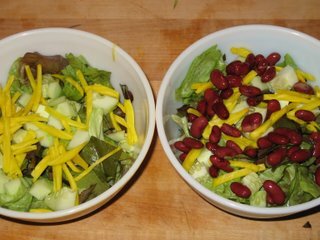 Also, we had salad... with cukes, golden beets, and kidney beans for me (but not for the fella). All in all, a pretty darn yummy day! I have to say... these summer months with long days and overflowing colors and flavors at the farmers markets are so exciting. 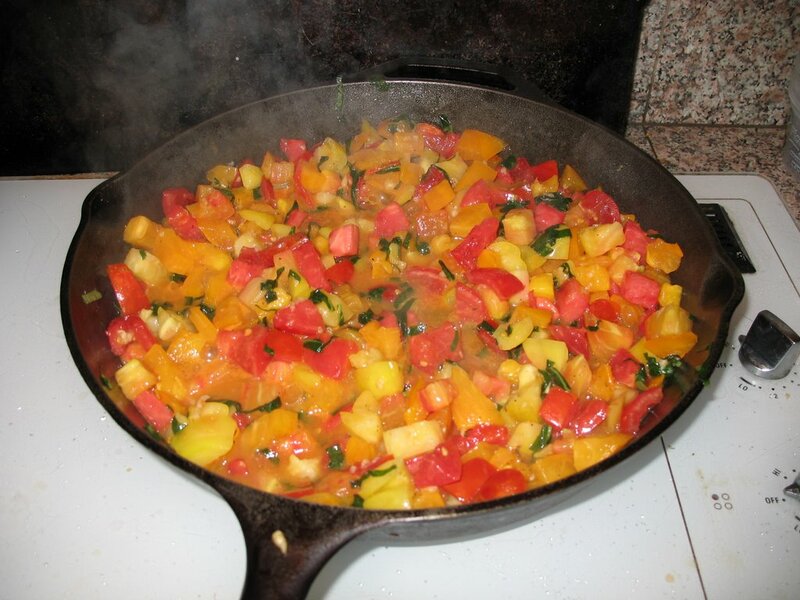 It just makes it very easy and inspiring to cook. Holy smokin' moly that pasta was good! It all looks so good! 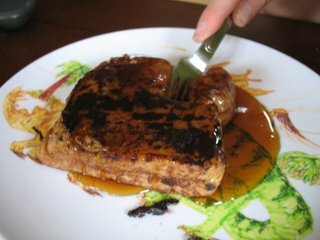 And that french toast... YUM... we need to make that again very soon. Hi Chris! Yes... I feel a great debt to you & Darlene for illuminating our lives with that french toast recipe. It's one of my favorite things ever! 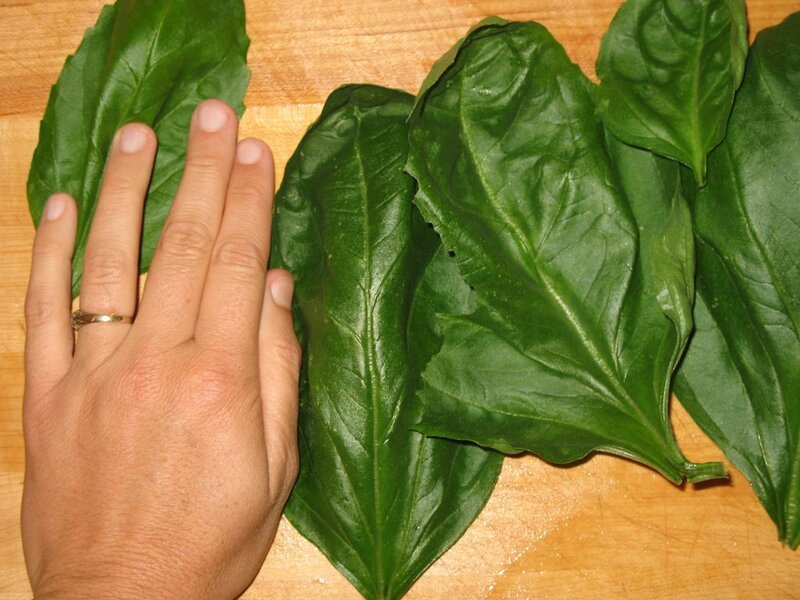 Wow, that is some huge basil! I am so surprised it got that big in the foggy weather! I know... and it was really tender and tasty too. I didn't know if the flavor would be sacrificed as a result. My grandparents have an AMAZING garden, and it's actually pretty sunny there. 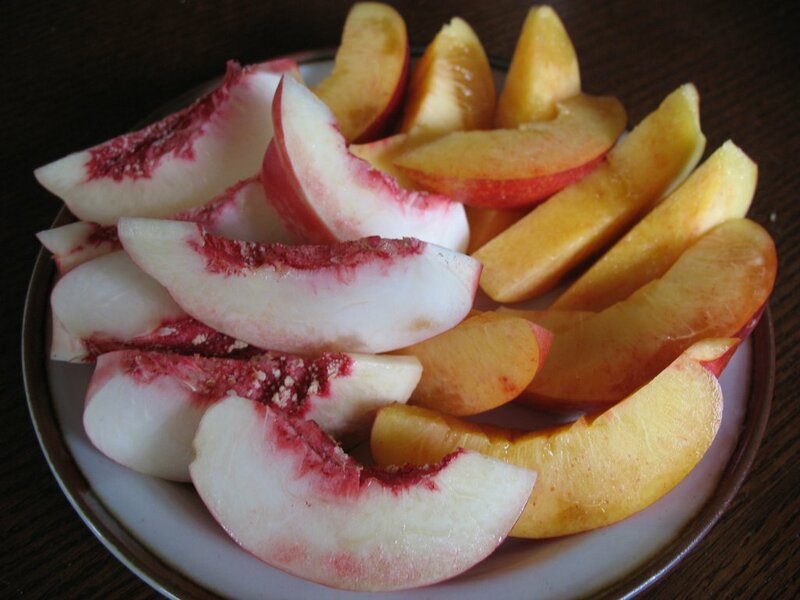 They grow so many fruits and veggies, it's very cool.